Tagged under Mizuho Kusanagi, Studio Pierrot, Series. 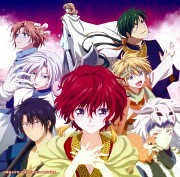 Akatsuki No Yona is like a combination of InuYasha and Fushigi Yuugi for me. 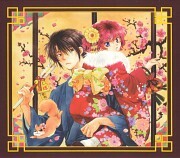 It is a story with beautiful storyline that unified the Japanese, Chinese and Korean culture. 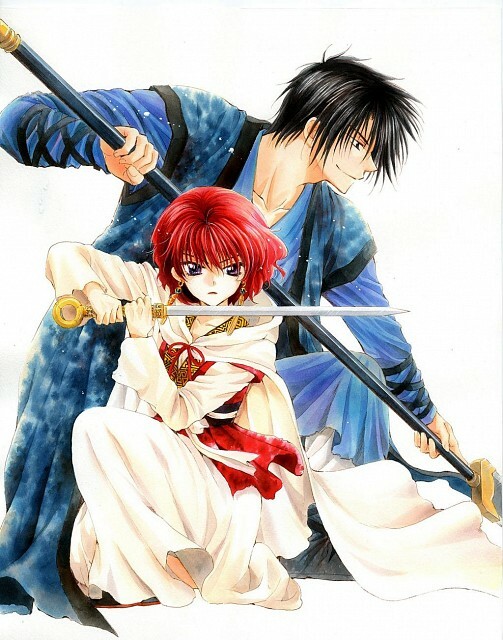 Following the series, I came to love so much Yona's character development. From being a weakling princess who's grounded to the walls of their kingdom into becoming a warrior who has seen a lot of sufferings and calamities experienced by the commoners. I love how some parts of the series is about women empowerment and that men should protect women as reflected by the presence of the dragons. I also admire how the characters are well-made and their tragic backstories seem to clench the heart in many ways. Also, i admire the chaste love story between Hak and Yona and how Hak seems to keep his feelings for her. Above all, I really love this series and must be one of the best anime of this generation. I highly recommend it for people with a heart for shoujo, harem, contemporary fantasy and adventure as Akatsuki no Yona is a perfect combination of all these genres. Very enjoyable funny loving characters. Designs are very bright and colorful I love it. Yeah the show has it ups and downs but it was entertaining different and cant wait for another season specially if they keep up the good music! No feedback on Akatsuki no Yona.